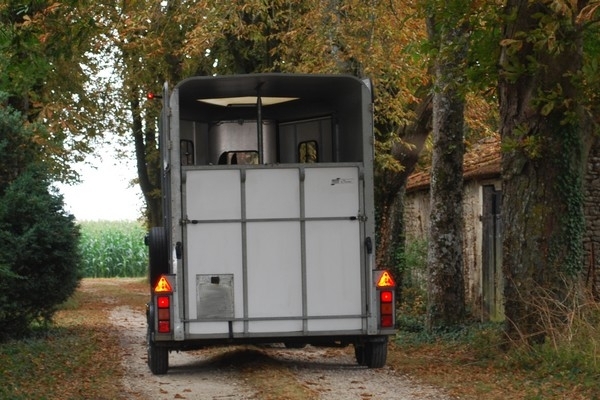 Yesterday we took our lovely Vinnie to his new home in the Correze where he will now live with new adopters Helga & Paul….and of course Lulu the donkey. Helga had arranged to privately purchase Lulu from her previous owners due to their circumstances changing. Since she was local, we collected her so that Vinnie could have a companion immediately. 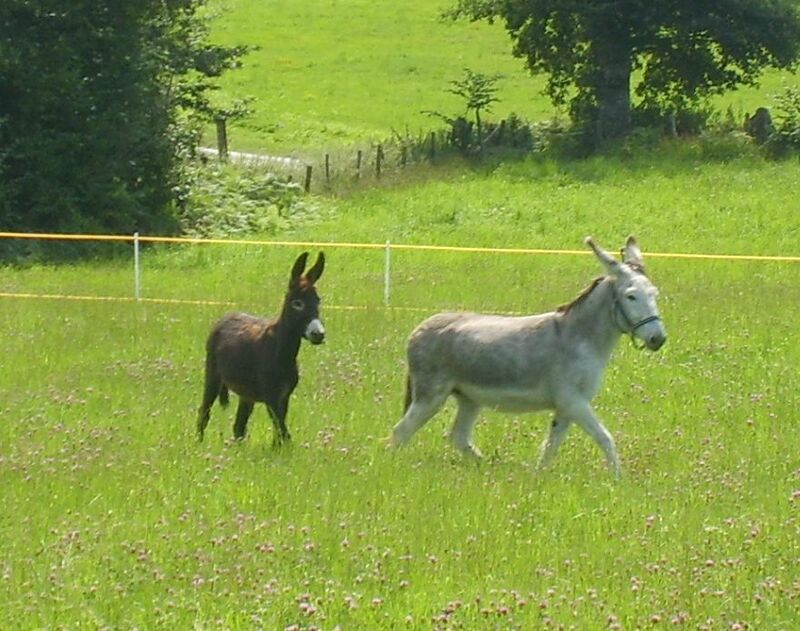 We currently have other donkeys looking for homes at the moment so please get in touch with us if you would like more info on becoming a donkey adopter. 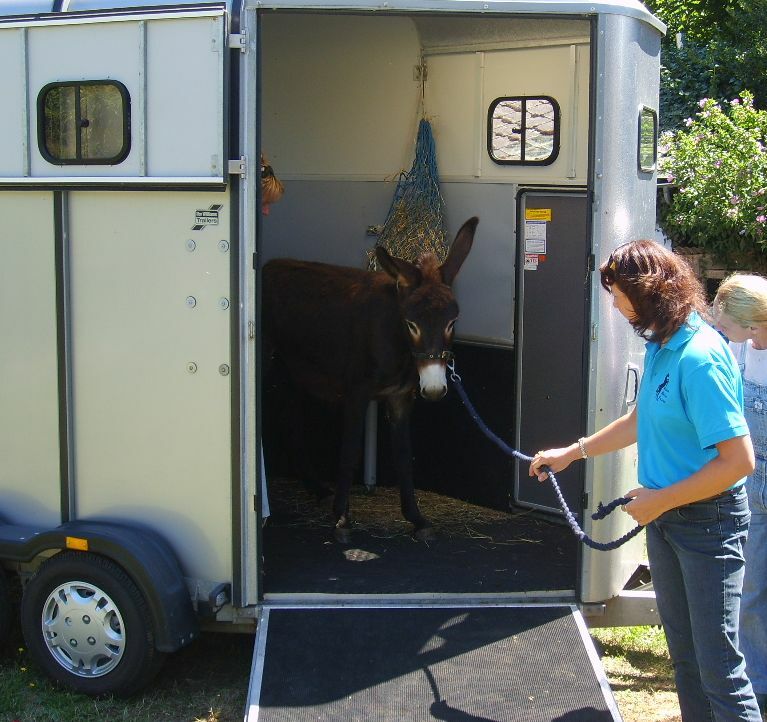 As with all donkeys, Vinnie needed a little persuasion to load! A short while later and he's in!! 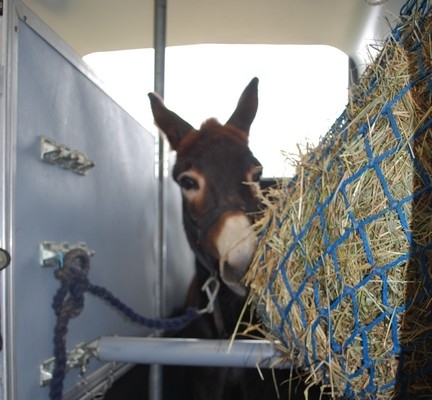 We then went and collected Vinnies new friend Lulu...who needed a bit more encouragement than Vinnie to disembark! 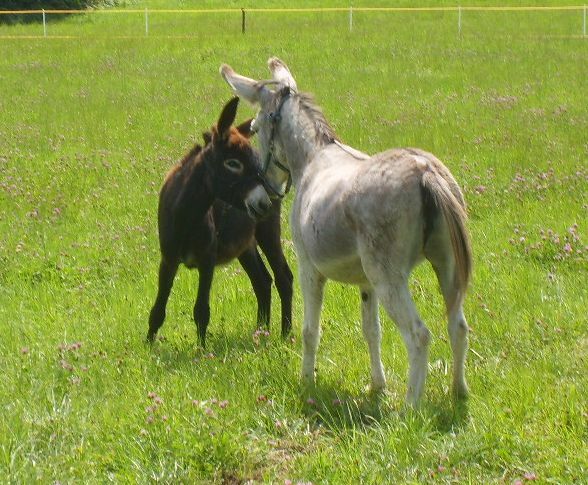 Donkeys are absolutely endearing. Good luck t them both. Those little fellows have some seriously nice looking pasture. They are going to have such fun together! 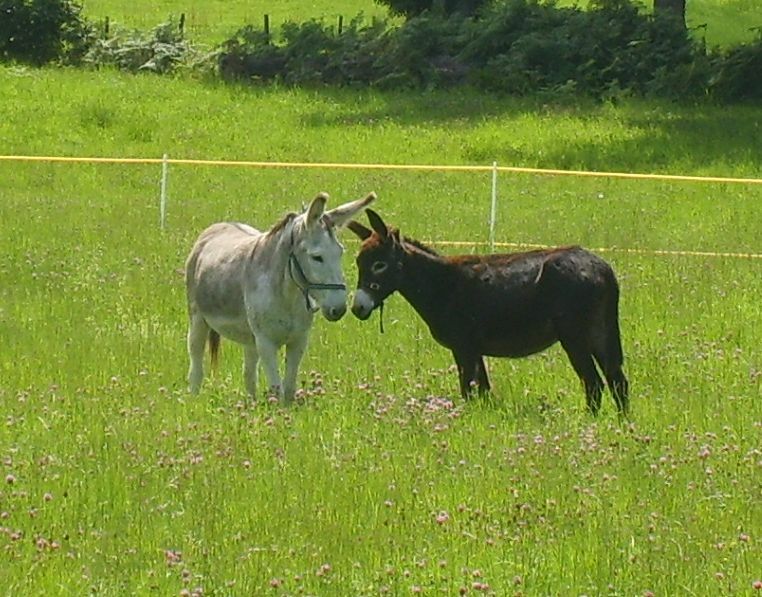 Love that photo of them nose to nose…..